Rydges Adelaide is located next to the southern parklands just a short drive from Greenhill Road, Gouger Street Cafe precinct and the Central Markets. Rydges Adelaide has the flexibility and space to facilitate a wide range of events, from meetings and conferences, to formal dinners, business events, cocktail parties and wedding receptions. 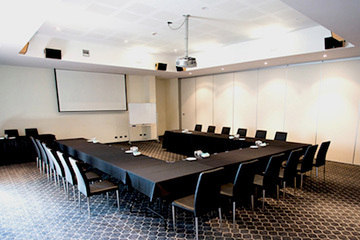 Skyline Events Centre is located on the 6th floor of Rydges Adelaide with conference venues to cater for major events for up to 300 guests together with a range of smaller meeting and event venues. The Deck Restaurant is open daily for breakfast and lunch dining with optional al fresco dining and a fresh light menu. 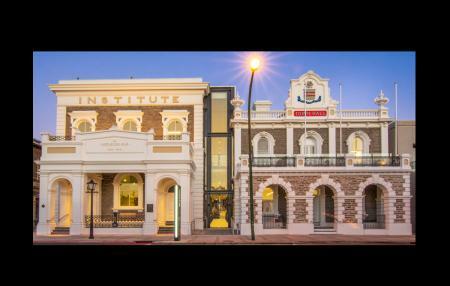 Our Adelaide hotel offers Premier & Executive Spa rooms, Family rooms along with Queen rooms and Superior Queen rooms to suit your individual needs. 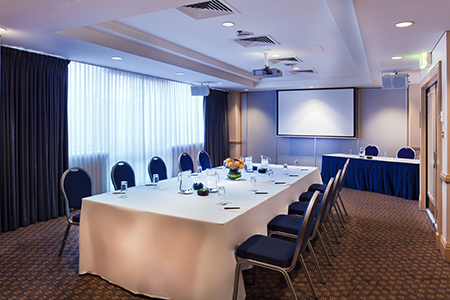 Rydges Adelaide hotel can host your meetings with state-of-the-art audiovisual equipment and amenities including high speed broadband and wireless internet. Ask our Team about our all inclusive Day Delegate Packages for your next meeting or conference. With views across Adelaide CBD and parkland views to the Adelaide Hills, Skyline Events at Rydges South Park is the perfect location for your wedding day. Tailored menus and packages designed to suit your individual ideas, style and budget.